The room has area 25m2, with large bedrooms, located in the center of building with modernly designed, internal window. Each of these well appointed rooms includes a tea/coffee maker, Satellite 32 inch LCD Television, air-conditioning, IDD Telephone, refrigerator, spacious bathroom with shower/tub combination. Complimentary: Daily fresh fruit, tea, coffee, mineral water, internet cable and wifi, NHK Channel in room. The room has area 30m2, with large bedrooms, located in the back side of building with modernly designed, large window allow you to have a special vision of Hanoi’s unique beauty. Each of these well appointed rooms includes a tea/coffee maker, Satellite 32 inch LCD Television, air-conditioning, IDD Telephone, refrigerator, spacious bathroom with shower/tub combination. Complimentary: Daily fresh fruit, tea, coffee, mineral water, internet cable and wifi, NHK Channel in room. 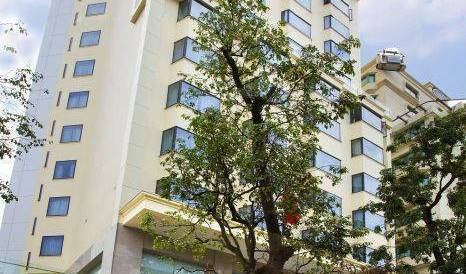 The room has area 35m2, with large bedrooms, located in the front of building with modernly designed, large window and balcony allow you to have a special vision of Hanoi’s unique beauty. Each of these well appointed rooms includes a tea/coffee maker, Satellite 32 inch LCD Television, IDD Telephone, air-conditioning, refrigerator, spacious bathroom with shower/tub combination. Complimentary: Daily fresh fruit, tea, coffee, mineral water, internet cable and wifi, NHK Channel in room. 25 m2, 1 King size bed, Safe magnetic lock system, Security peephole, Air-conditioned, Wooden floors, Window open the air, Writing desk, Wardrobe, Tea & coffee making facilities, In room safety box, tea break Sofa, Private bath with bath tube, Hair dryer, Super-speed water heater, IDD Telephone, Satellite/Cable TV, Japanese speaking NHK TV, High speed internet (ADSL), Wi-Fi (Free) , Tea, coffee & water for free , Daily Fruits, Mini-bar & Snacks, Room service (06: 00 till 23:00). 45 m2, 1 bed room & living room, 1 King size bed, Safe magnetic lock system, Security peephole, Air-conditioned, Wooden floors, Window with nice city view, Writing desk, Wardrobe, Tea & coffee making facilities, In room safety box, Sofa, Bathroom amenities: bath robes, Private bath with bath tube, Hair dryer, Super-speed water heater, IDD Telephone, Satellite/Cable TV, Japanese speaking NHK TV, High speed internet (ADSL), Wi-Fi (Free) , Tea, coffee & water for free , Daily Fruits, Mini-bar & Snacks, Room service (06: 00 till 23:00). 75 m2, 1 bed room & living room, 1 King size bed, Safe magnetic lock system, Security peephole, Air-conditioned, Wooden floors, Window with nice city view, Writing desk, Wardrobe, Tea & coffee making facilities, In room safety box, Sofa, Bathroom amenities: bath robes, Private bath with bath tube, Hair dryer, Super-speed water heater, IDD Telephone, Satellite/Cable TV, Japanese speaking NHK TV, High speed internet (ADSL), Wi-Fi (Free) , Tea, coffee & water for free , Daily Fruits, Mini-bar & Snacks, Room service (06: 00 till 23:00). 25 meters squared: 12 upscale double/twin rooms feature modern gold-toned and elegant dark wood furnishing that complement sparking bath and windows with the entire city view. 30 meter squared: 12 upscale double/twin rooms feature modern gold-toned and elegant dark wood furnishing that complement sparking bath and windows with the entire city view. 40 meters squared: 12 upscale double/twin rooms feature modern gold-toned and elegant dark wood furnishing that complement sparking bath and windows with the entire city view. In-room complimentary bottled water, tea, coffee, 24 hours free wireless internet access. Romantic and cozy, the Superior Rooms are located on the center within a short walk to the elevator and have interior entrances. These rooms have one king bed at 25 squared meter. The well-equipped rooms offer a spaciousness that lends itself to a sense of at-home living. Whether visiting for a luxurious holiday or long-term business trip, these rooms will offer a true sense of relaxation. Spacious and luxurious, the Suite rooms are the best value in luxury and comfort offering street and river views. The room has one king or two queen beds, a small sofa bed, stocked mini-bar, small table & chairs, seating area. Romantic set-up with a bunch of flower, candles, champagne will make you the most memorable moment, surely make your partner much more impressed. The spectacular royal rooms situated on the top floor of the hotel will bring the best view of Hanoi and sense of emperor. Chinese and western style surely make your stay memorable. 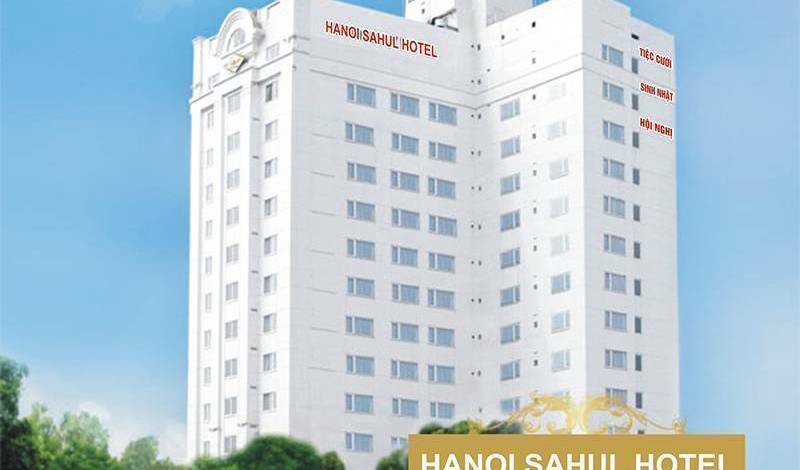 Located on top of building with modernly designed and very large size, big windows allow you to have a special vision of Hanoi’s unique beauty and Chuong Duong Bridge and Long Bien Bridge view. Each of these well appointed rooms includes a coffee maker, LCD Television, and spacious bathroom with shower/tub combination. 58 Hang Be Street., Hoan Kiem District, Hanoi, Vietnam. Your vacation is more memorable than ever with city view shared room; finely designed with facilities; high speed wi-fi. This room is very clean and has balcony. The room has a big window and balcony that make the room bath in light. With TV, free wifi internet access, this cozy room will make you feel at home. The seating room has TV, computer, table and chairs. Where you can relax and enjoy tea or coffee. Our dorm is also air conditioned, cleaned daily and has shared bathroom & hot water shower. This is smaller dorm room where you can share with either 5 or 6 people. No 6 Cau Go Street., Hoan Kiem, Hanoi, Vietnam. All rooms at Hanoi Cozy Hotel are PRETY, CLEAN and All rooms are available with 24hrs hot water, private bathroom with modern bath tub and come with fan and air conditioners, fridge, satellite TV, safety box, telephone access, wifi internet access in room and lobby. Recently established in 2009 by Michael Hake the IMPRESSIVE HOTEL is becoming one of the most impressive modern hotels in Hanoi old quarter. Superior Double bed (about 18 m2) are modern , cozy rooms with nice décor , Air conditioner , PC connect to internet ( free to use ) , hot & cold standing shower , LCD cable TV, safety box , mini bar …These windowless rooms bring you the rest in quiet , taking away the noisy and crowdy Old Quarter atmosphere. Room is fitted with a minibar, tea/coffee-making facilities and a TV with cable/satellite channels. Room Facilities: View, Telephone, Satellite Channels, Cable Channels, Flat-screen TV, Laptop, Safety Deposit Box, Air Conditioning, Desk, Ironing Facilities, Seating Area, Fan, Heating, Tile/Marble floor, Hardwood/Parquet floors, Wardrobe/Closet, Hairdryer, Free toiletries, Toilet, Bathroom, Bath or Shower, Tea/Coffee Maker, Minibar, Refrigerator, Wake Up Service/Alarm Clock Room Size: 22 m² Bed Size(s): 2 single beds, 1 large double bed. A room for 3 fitted with a minibar, tea/coffee-making facilities and a TV with cable/satellite channels. Room Facilities: View, TV, Telephone, Satellite Channels, Cable Channels, Laptop, Safety Deposit Box, Air Conditioning, Iron, Desk, Ironing Facilities, Fan, Heating, Hardwood/Parquet floors, Wardrobe/Closet, Hairdryer, Free toiletries, Toilet, Bathroom, Bath or Shower, Tea/Coffee Maker, Refrigerator, Wake Up Service/Alarm Clock Room Size: 35 m² Bed Size(s): 1 single bed, 1 extra-large double bed, 1 large double bed. 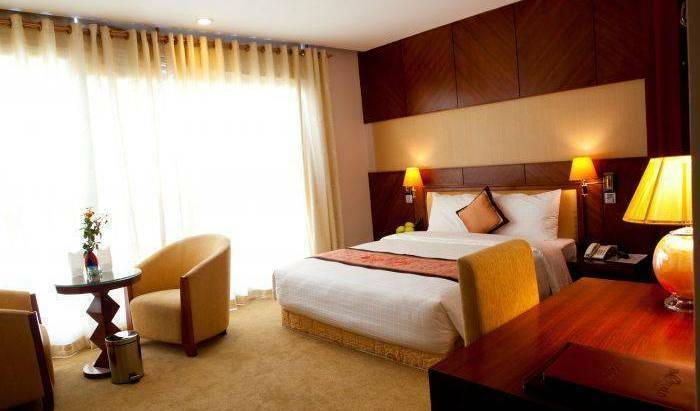 With spacious and well-furnished rooms, Hanoi Lucky Diamond Hotel offers you much more value than 4-stars hotels. All the rooms in the hotels have wooden floor and brand new equipments. These include: IDD telephone, air-conditioning, safety deposit box, working table, night-lamp, cable TV with international channels, DVD player, refrigerator, private en-suite bathroom with comfortable bath-tub, hot shower, hair-dryer, coffee & tea making facility, complimentary daily fresh fruits and flowers, free use of private computers with High speed internet connection or Wifi are both inside the rooms and the lobby. All rooms have individual air-conditioning, IDD telephone, LCD television, bathroom with bathtub and shower,. etc... Will you need airport pick up?Will you need travel information for your trip in Vietnam?Feel free to contact hotel directly. All rooms have city view, individual air-conditioning, IDD telephone, LCD television, bathroom with bathtub and shower,. etc... Will you need airport pick up?Will you need travel information for your trip in Vietnam?Feel free to contact hotel directly. Superior twin or double room are furnished with large working desks with executive chairs as well as well-stock mini bars and refrigerators, satellite TV, a spacious bathroom, free Wi-Fi, breakfast, tea, coffee. The Family Rooms feature a double bed and one single bed, satellite TV, a spacious bathroom with a large sink, bathtub or shower, Wi-Fi, large working desks with executive chairs, and well-stock minibars and refrigerators. Room is well appointed and equipped with the modern amenities & opening window, private bath room. Rate is included: Welcome drink , Daily buffet breakfast, 02 bottles of mineral water, tea and coffee in room daily, daily tropical fresh fruit, computer- wifi in room. Airport pick up with 20 USD/ 4 seats car. Please request! These modern Executive rooms have large window open to 3 sizes with whole city view. Locate in front of hotel but it is very quiet. From here you can see the local Hanoian activities in early morning or the busy street when the night coming. Rooms have Air conditioner, PC connect to internet, working table, LCD cable TV, safety box, mini bar, IDD phone. We offer free welcome drink on arrival, daily fresh fruit, tea & coffee and bottles of water, daily hot buffet breakfast. Airport pick up with 20 USD/ 4 seats car. Please request! These luxurious and spacious rooms (about 38 m2) offer the most convenient and modern stay with PC connect to internet inside room, modern & large Jacuzzi bath, opening window with city view, air conditioner, large sofa chairs, working table, cable LCD TV , safety box, mini bar, IDD phone. Locate on backside of hotel so rooms are very quiet. We offer free welcome drink on arrival, daily fresh fruit, tea & coffee and bottles of water, daily hot buffet breakfast, especially a bottle of local wine for your memorable stay in Hanoi. Airport pick up with 20 USD/ 4 seats car or 25 USD/ 7 seats car. Please request! Luxury Rooms (38m2) between the 2nd and 9th floors. An extra ten square meters and large windows make this room perfect for guests who need a bit more personal space. Room has 3 single beds for parents and maximum 2 kids under 10 year old in 40m2 area. Luxury Rooms (38m2) between the 2nd and 9th floors. An extra ten square meters and large windows make this room perfect for guests who need a bit more personal space. 1 double bed and 1 single bed for parents and maximum 2 kids under 10 year old in 40m2 area. beautiful Silk Queen Suites. Each Suite has its own private balcony offering incredible views of the iconic Old Quarter area. At 60 m2, each suite ensures our guests ample room and privacy during their stay. 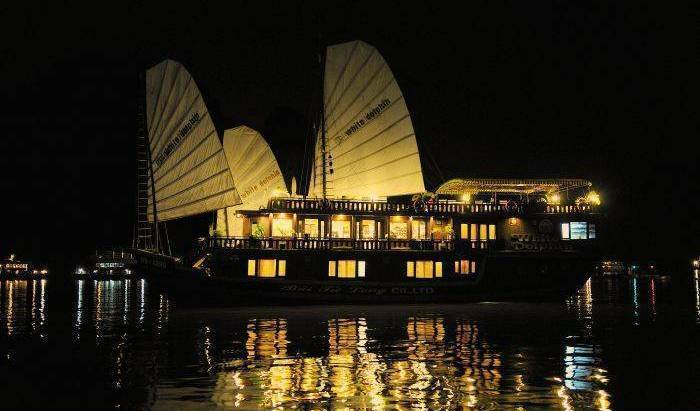 The ideal accommodation for newlyweds and couples seeking romance in Hanoi! Located in Hanoi’s historic Old Quarter, Asian Ruby Hotel offers modern budget accommodations with free Wi-Fi and 32-inch cable flat-screen TVs. It features daily buffet breakfasts and free private parking. Features views of the city. Room Facilities: Safe, Air Conditioning, Iron, Suit Press, Desk, Sitting Area, Fan, Heating, Walk-in Closet, Sofa, Sofa Bed, Tiled / Marble floor, Hardwood/ Parquet floors, Shower, Bathtub, Hairdryer, Bathrobe, Free Toiletries, Toilet, Bathroom, Slippers, TV, Telephone, Satellite TV, Cable TV, LCD /Plasma /Flat-screen TV, Tea/Coffee Maker, Minibar, Refrigerator, Electric Tea Kettle, Wake Up Service/Alarm Clock, Wake Up Service, Executive Lounge Access, Balcony, View (sea, grounds, landmark, etc.) 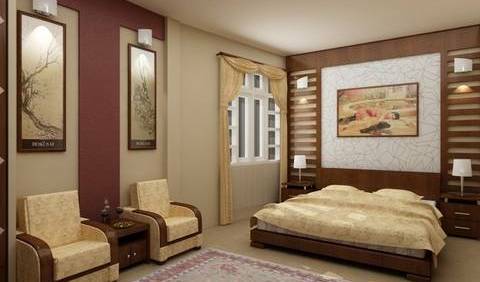 Room Size: 45 square meters Bed Size (s): 1 Single , 1 Sofa bed , 1 Large double . Ideally located in the heart of Hanoi's Old Quarter, the newest boutique hotel in Elegance chain offers a luxury accommodation with modern facilities & amenities served by a team of professional staff. 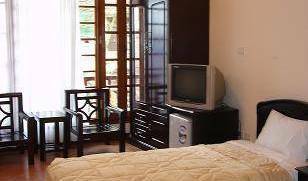 Centrally located in Hanoi's Old Quarter, Serenade Hotel offers free parking and free in-room wired internet. Just 50 metres from Hoan Kiem Lake, it also provides a sauna and relaxing massage treatments. Bicycle rentals are available.